Best Adjustable Dumbbells of 2017 | How to Choose the Best Set? What Are The Best Adjustable Dumbbells in 2017? 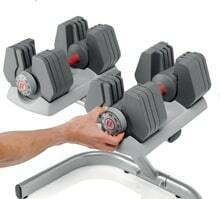 When going to the gym is too time consuming or too expensive, do your workout from home with adjustable dumbbells. As you continue to gain strength and exercise religiously, the weights can be adjusted to show your additional strength. Adjustable dumbbells make an expensive gym membership a thing of the past by providing you with many exercise routines in a small and inexpensive package. 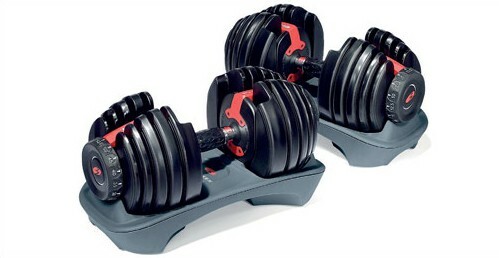 With so many adjustable dumbbells available for sale, choosing the best one can be a challenge. Consequently, we’ve reviewed the best adjustable dumbbells of 2017 to make your decision a little less difficult. 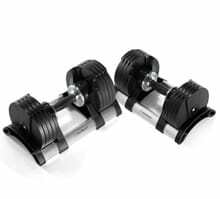 With weights ranging from 5 pounds to 100 pounds, everyone from professional bodybuilders to those looking to lose weight can use the StairMaster Ajdustable Dumbbells with ease. This dumbbell uses the patented TwistLock technology that allows the weight to be adjusted with the flick of a wrist. While many users felt that the dumbbell was an excellent users, many complained of poor durability after several months of use. 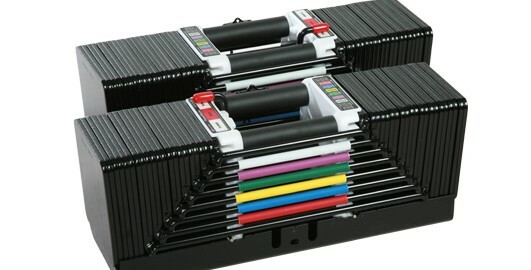 As a result, it was hard to justify the Amazon price of $499 for these dumbbells. 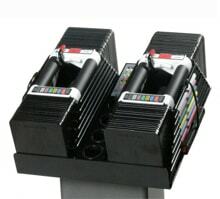 The PowerBlock Elite 90 Dumbbell Set adjusts from five to ninety pounds in five-pound increments. To change the weight, users must remove the selector pin and change it to a different setting. Although this setup is similar to what is found at a gym, it is not as easy as the other products in this review as it cannot be adjusted with only the flick of a wrist or with just the hands. For users who outgrow the 90 pounds of weight, the company offers accessories that can be purchased to increase the weight to 130 pounds without having to purchase new and costly dumbbells. 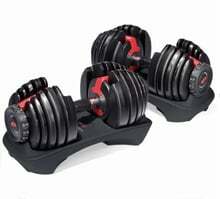 Bowflex has long been the industry leader for dumbbells and weight equipment. While the Bowflex SelectTech 552 is an excellent value at only $299, the dumbbell did not rate as highly as our top rated products. For starters, the dumbbells only range in weight from 5 to 52.5 pounds. 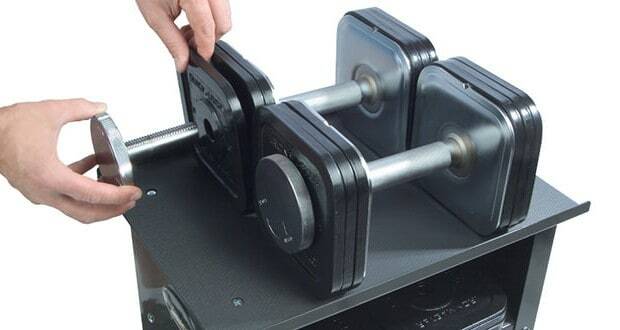 Additionally, some users found that while turning the wheel on the end of the dumbbell was an ingenious way to safely and easily adjust the weight this method was not reliable and would often not work properly. What makes this an excellent value is that it is only $325.56 and includes a stand for easy storage and for use. Designed with a durable thermoplastic rubber handle users felt that the dumbbell was not only comfortable to lift, but also did not leave any rash or inflammation after prolonged use. On the downside, the weights only range from 4 to 45 pounds; however, a workout guide with a variety of exercises is included with every purchase. As our number 1 rated product, the Ironmaster Quick-Lock Dumbbell system is the best dumbbell set available for purchase today. 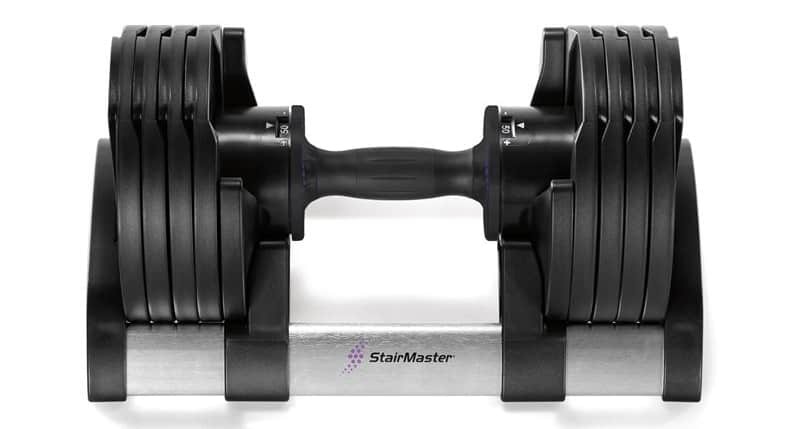 The dumbbells range in weight from 5 to 75 pounds and can be adjusted in less than 15 seconds with the Ironmaster’s patented quick lock design. 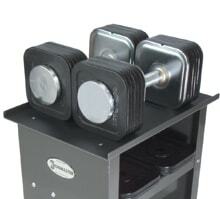 Included with the purchase of this system is a complimentary stand for storing the dumbbells after use. All these features make this product #1 choice for everyone who wants to buy the best adjustable dumbbells.